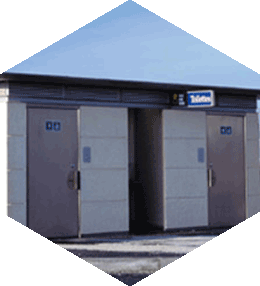 For simplicity of installation and low maintenance, Francioli offers modular toilets which offer a global solution in terms of design, manufacture, installation and operation. 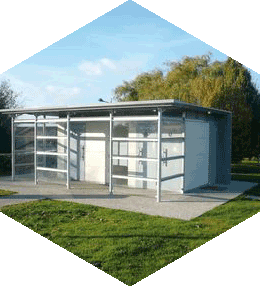 The modular solutions we offer are specially suitable for motorway rest areas. Each type of toilet responds to a different set of needs depending on the sit, on its use and a set of pre-defined requirements. 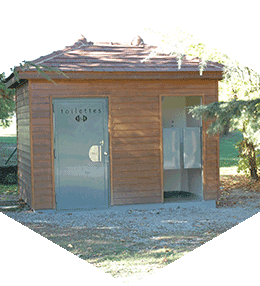 All the toilets we offer are designed to integrate well into public spaces. Both their design and performance parameters make them long-lasting. 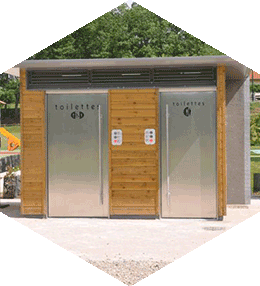 The accessibility of sanitary facilities in public places is a requirement set out in a set of articles in the accessibility regulations. 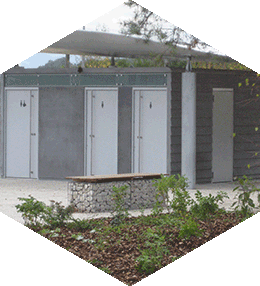 The number of available and accessible sanitary facilities must take account of the number of people visiting the places concerned. More detailed information is available in the departmental health regulations on which you depend. To offer you the greatest freedom in the design of the ideal cabin, Francioli offers you customized and modular sanitary units, which will adapt perfectly to your needs.